China’s Best: Lost in Translation? If we were to create a Mission Hills list — and all that’s holding us back is a lack of outside funding — the top spot would have to go to the one Mission Hills layout that is already in the Top 50. That would be Desmond Muirhead’s 44th-ranked Tournament Course at Mission Hills Country Club in Rancho Mirage, Calif., permanent site of the LPGA’s Kraft Nabisco Championship. But given our correspondent’s Chinatown address, I’m guessing that she’s carrying water (or oolong tea) for the Mission Hills Golf Club of Shenzhen, China. 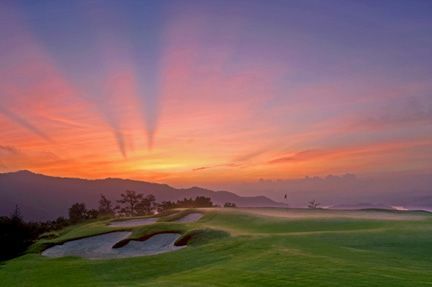 A resort complex that is roughly the size of Delaware, China’s Mission Hills has the largest tennis center in Asia (51 courts and a 3,000-seat stadium court), several golf academies, four clubhouses, four spas, a convention center, a 5-star hotel, and no less than a dozen courses designed by the likes of Pete Dye, Jack Nicklaus, Greg Norman, Nick Faldo and Annika Sorenstam. Mission Hills is so big that it isn’t content hosting the Asian Amateur Championship and the occasional World Cup. It sponsors football matches between world-class teams such as FC Barcelona and, uh … opponents of FC Barcelona. *I am not a member of either club, although I would never rule out a future alliance. It is not lost on me that China, with a population of roughly 1.3 billion souls, might have a golf course worthy of a Top 50 ranking. Unfortunately, our Chinese course-raters/calligraphers submit their reports in the 50-year-old simplified Chinese character system employing the common caoshu shorthand variants, while our Cal Tech analysts read only traditional Chinese characters, which use standardized forms dating to the Han dynasty. That has led to some anomalous results, including the counter-intuitive ranking of the aqua-range at the Chung Shan Hot Spring Resort at No. 64, ahead of the world-renowned Pine Valley Golf Club of southern New Jersey. We’ve got our best minds working on this problem. 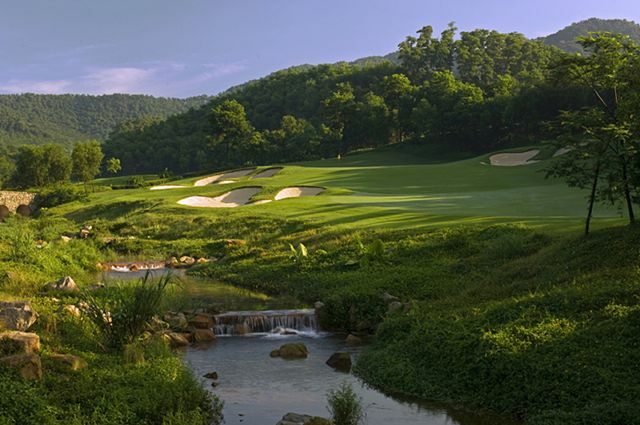 In the meantime, we’re provisionally ranking the Mission Hills Shenzhen complex — all twelve courses, including the Zhang Lianwei-designed par-3 course — as No. 1 in China. This China golf story looks promising. I look forward to it being translated to English so I can enjoy it. In Thailand we have several Golf Course and with good weather in Thailand.